The club has six tennis coaches, all of which have a wealth of both competitive playing and coaching experience. All offer private coaching sessions. Should you wish to organise a private session, the coach phone numbers and their rates are available from the Club office. 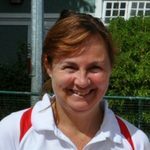 Ger is a Level 3 coach and a Tennis Ireland Tutor with over 30 years coaching experience. As a player, she represented Munster at all levels and was also part of an Irish Veterans team. She has been coach and non-playing captain to numerous Munster and Irish Junior teams, travelling around Europe with the National Junior squads over a 10-year period. 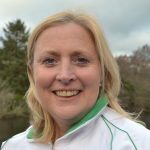 A member of Sunday’s Well for almost 40 years, In 2017, Ger was appointed by the Club to manage the Junior Tennis Development Programme and in 2018, she was named Munster Coach of the the Year by Tennis Coach Ireland. Marie is a Level 2 coach with 25 years experience. 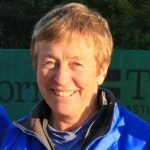 She ran the Junior Tennis Coaching programme at the Club for the past 18 years. Marie is also an active competitive player and has represented Ireland in both World Team and Four Nations Championships six times. She won several National titles at Senior level and currently plays for Sunday’s Well at Premier/Grade 1 level in Munster. Her qualifications include Health & Fitness Instruction from UL, Occupational First Aid and Emergency Care etc. Marie has been a member of the Club for 30 years. 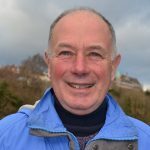 Greg is a level 2 coach with over 40 years experience and has been a member of Sunday’s Well for even longer! As a player, he has represented Munster at various levels and also played for Ireland at Veterans level. He held National titles in singles and doubles. He was non-playing captain to many Munster Junior teams, as well as to a number of Irish Junior teams competing across Europe. 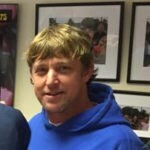 Greg is involved in many of the Club’s activities, particularly in social tennis programmes and events. Johnny is a qualified Tennis Ireland Level 2 coach with more than 30 years playing experience. He has played for both Club and Munster teams. Johnny, has twelve years coaching experience from club to provincial players, both young and adults. For many years Johnny has spent the summer months coaching in New Hampshire, USA. In the past year, he has joined the Junior programme in Sunday's Well and is available for private coaching also. 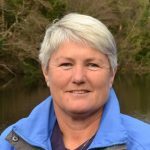 Anne is a level 1 coach with 15 years experience in many Cork clubs and schools. She is a Grade 1 player and has represented her Club, Munster and Ireland at various levels, including very recently when she represented Ireland at the World Superseniors Championships in Miami. Siobhán is a level 1 coach with over 10 years experience. She won the Munster Open Doubles Championship 10 times and the Irish Open Doubles four times. She has represented Munster at Veterans level for 15 years, and played for Ireland in many Four Nations and World Team Championships.